Because we believe in the power of the community, we’ve created a whistleblower function that lets people who use Trustpilot notify us about any problems. Thousands of reviews are posted on Trustpilot in different languages every day, so it’s not an easy task to make sure that everyone complies with our rules all of the time! We have a range of mechanisms to help us ensure that reviews posted on Trustpilot are genuine, and to protect the integrity of our platform. This is an area we significantly invest in and are working to continually improve. We also invite members of our community to keep an eye out for suspicious activities and let us know if they have information about misuse or abuse of Trustpilot’s community, or our tools. We believe in the power of the community to expose people trying to game the system. 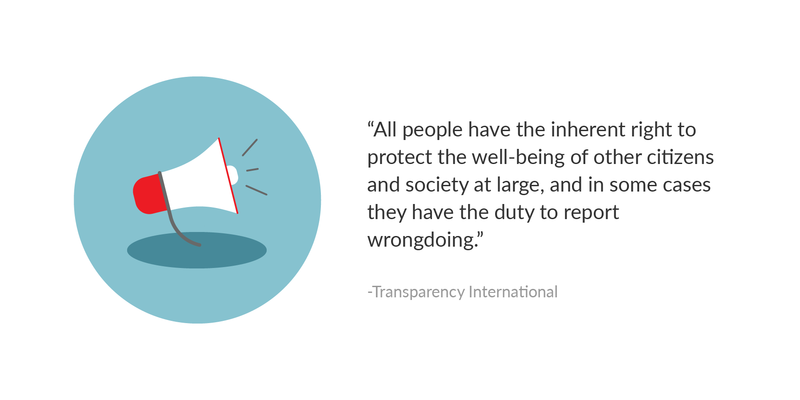 Our whistleblower function is one way for people to confidentially report any problems to us. It helps make Trustpilot more trustworthy. A whistleblower discloses unethical or illegal practices to someone who is in a position to put a stop to it. We consider it whistleblowing for a member of Trustpilot’s online review community to let our Compliance Team know about actions that violate our rules and threaten the integrity of our platform. We take whistleblowing - and the responsibilities that go with it - seriously. And we expect others to do the same. All reports made through our whistleblowing function should be made honestly and in good faith. Reciprocally, we don’t accept or tolerate retaliation against whistleblowers who have reported wrongdoing to us in good faith. To aid our investigations, and in case we have further questions, it’s of course helpful for whistleblowers to include their contact details when they make reports. But we also accept anonymous reports sent by email. What can you whistleblow about? As long as it relates to Trustpilot, the types of wrongdoing you can report to us can include actions taken by a company, by a customer, or even by a member of the public. It might be that you have particular information about fraud or people writing (or offering to write) fake reviews on Trustpilot. It could also be appropriate to report information about misuse of our platform, abuse of Trustpilot’s functions, or anything else that seriously undermines Trustpilot. For example, a member of our community informed us about online advertisements where people offered to write fake reviews on Trustpilot for a small fee. We passed along the details to our team of investigators who looked into the case and were able to have the ads removed. It’s easy to use our whistleblower function. Simply send our Compliance Team an email at compliance@trustpilot.com. All emails sent to this address are read by people with access to sophisticated investigative tools. They are Compliance Agents, Investigators or Managers in our Copenhagen, London, Vilnius or US offices. When we receive credible reports of misconduct based on enough information, we see it as our responsibility to thoroughly investigate. To help us with our investigation, you should include as many details as possible about the suspected or alleged problem, including evidence if you have any. Let us know what’s happened by explaining the facts. Ideally, attach any supporting documentation to your email in the form of screenshots or pdfs. We may also request further information from you at a later date to assist us. 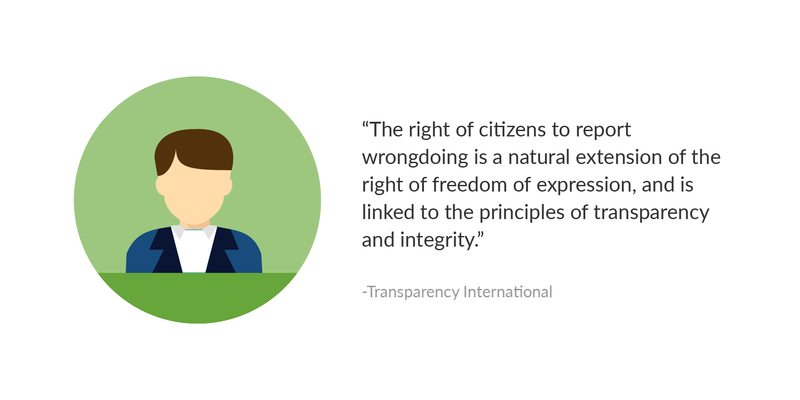 All reports about wrongdoing that are made in good faith are treated as confidential. However, for more serious cases, we may hand over information to the authorities or regulatory bodies to assist them with investigations, or so that they can pursue the matter further. Naturally, where this occurs, we follow the rules regarding privacy and the handling of personal information. Our Compliance Team will investigate the allegations and the evidence, and take appropriate steps to address any problems. At the extreme end of the scale, this can include taking disciplinary or even legal action against a business or reviewer, if necessary. However, sometimes the solution is as simple as explaining the features and rules of our platform to people so that they can learn to use it correctly. Once we open an investigation, privacy rules mean that we’re rarely able to provide details to parties other than those specifically being investigated. We understand that this can seem frustrating if you’ve submitted key evidence against a business or reviewer. However, because we have to comply with the laws in this area, we’re often unable to provide updates. We do, however appreciate the assistance from whistleblowers. If you already use Trustpilot and are a member of our community, you also have the option of letting our Compliance Team know about specific reviews that you believe violate the rules of our review community. Businesses can report reviews from their business accounts and explain which one of our rules has been violated by a review, whereas consumers can click on the “flag” icon beneath each review on Trustpilot to notify our Compliance Team about problematic reviews. This will trigger a request for us to investigate. Please note, however, that reporting reviews in this manner should be limited to instances where you have legitimate concerns and can show a particular reason why a review is suspicious or violates one or more of our rules - such as our User Guidelines (US, UK) or Company Guidelines (US, UK). For more on how to use these functions properly, check out our articles on what we consider misuse by businesses and consumers. For general queries, we also have extensive information about how we work on our Support Center site.